Shaun, Mitchell score centuries as home side post 303-run lead; Root’s defiance helps visitors end day at 93/4. By stumps on the fourth day at the Sydney Cricket Ground, England faced the improbable task of batting through day five with just six wickets remaining to restrict the scoreline to 3-0. 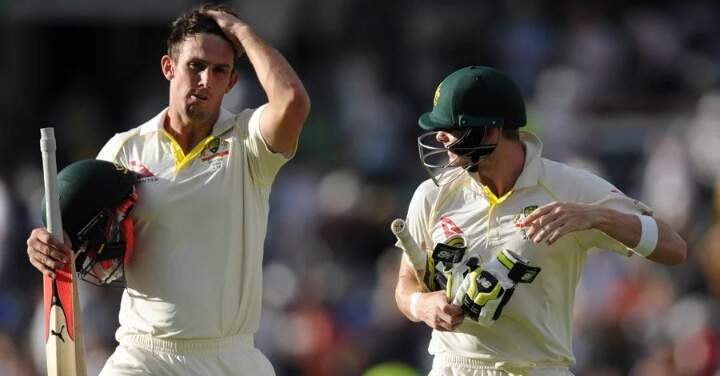 The Marsh brothers first and then the Australian bowlers saw to that. 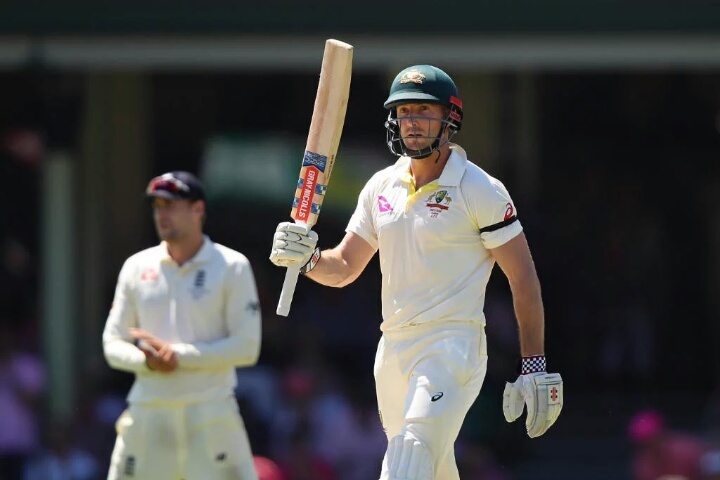 Both Shaun (156) and Mitchell (101) Marsh scored their second centuries of the series, adding 169 for the fifth wicket, to help Australia post a lead of 303 after declaring their first innings at 649/7. Nathan Lyon then returned 2/31, as England limped to stumps at 93/4, trailing by 210, with Joe Root restraining the home side with a 124-ball unbeaten vigil that yielded 42 runs. Facing a tall total, England even ran the risk of conceding the game within the day. Mark Stoneman’s series came to an end when Mitchell Starc had him trapped in front in just the third over. Stoneman reviewed, but replays suggested he was rapped on the knee roll and that the ball would have hammered leg stump.Alastair Cook and James Vince then lasted just 17 deliveries together, albeit nervously – Cook was dropped by Shaun Marsh at slips, while Vince had to review a caught-behind decision that went against him. They couldn’t capitalise on the chances though. Cook was trapped plumb in front by Nathan Lyon, while Vince ran out of luck after edging Pat Cummins to Steve Smith at slips. Root then came in and held up one end. He added 25 with Dawid Malan, the stand lasting 76 deliveries before Lyon broke through. The offie drifted it in, and Malan, standing deep in his crease, was rapped on the pads. He reviewed out of hope more than anything, but it was an excellent decision from Joel Wilson. England were reduced to 68/4. Australia couldn’t prompt another slide though – Jonny Bairstow walked out and commendably stonewalled his way through 45 deliveries. Root, who sustained an injury to a finger, carried on bravely, and their 25-run stand held Australia off before stumps were called. They will be required to repeat the same feat in a much grander scale on the final day if England are to hold their hosts off at all. Earlier, Australia declared midway through the second session, but only after the Marsh brothers, Shaun and Mitchell, both brought up their centuries. England were just unable to restrict the flow of runs – the plight of Mason Crane was indicative of that, the legspinner ending with figures of 1/193, making it the worst reading for an England bowler on debut. The day began with the older Marsh, Shaun, adding the runs required to overnight score of 98 to bring up his sixth Test hundred. It didn’t take him long, driving Moeen Ali through the covers in just the fifth ball of the day to bring up the mark. He didn’t ease off thereafter, putting away the next delivery, a wide one from Ali, to the fence as well. England soon took the third new ball, but the brothers, happily settled in now, weren’t to be denied their rare opportunity to meet as unbeaten Ashes centurions mid-pitch. They blocked resolutely when needed and put away those that asked for it – Stuart Broad was taken for consecutive fours by Mitchell in his first two over’s of the day. That fourth boundary took him up to 99, and when he found two runs off Tom Curran thereafter, the moment had arrived, although rather comically. The brothers embraced mid-pitch while completing the second run, only to suddenly realise that they had to make their ground for it all to count. They eventually did, much to the relief of an animated captain in the dressing room. Unlike Shaun, Mitchell let his guard fall, and was dismissed next ball when Curran jagged one back in. Tim Paine and joined Shaun, and the two then added a quick 52, the latter putting away boundaries almost every over. His stand eventually came to an end, run out after Paine called him for a quick single. Starc followed suit after a quick 11, and Smith called his wards back in after Paine and Cummins added a brisk unbroken 52.